It’s been a good week of gaming, let’s catch up on what we’ve been playing. You may remember seeing the Darwin Project pop up during Microsoft’s E3 2017 show. Since then it has been all quiet but over the weekend they held a closed Alpha and I was lucky enough to get in on the action! 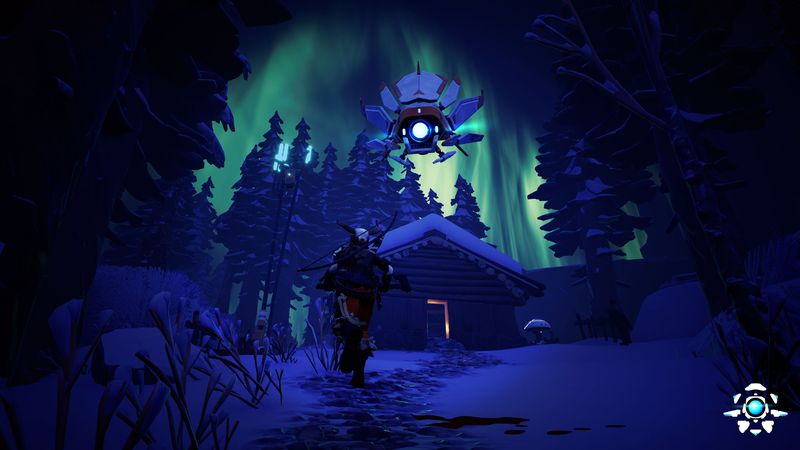 The Darwin Project is an arena style survival game set in the Northern Canadian Rockies where up to 10 players will have to scavenge for items whilst fighting off the cold and other players. 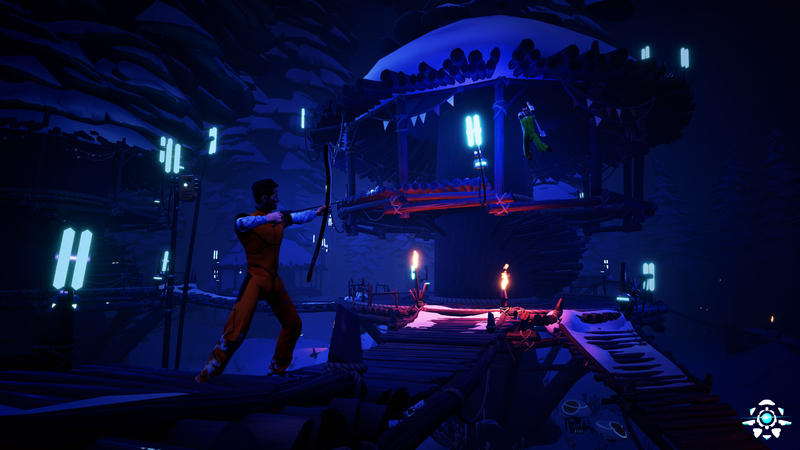 It’s has a bit of a Battle Royale feel to it too with areas of the map slowly being closed off, forcing players in to an ever smaller play zone to fight over. Your main weapons are an axe and a bow, you can craft arrows, armour, upgrades to your axe and search for other bonuses like traps, shields and other items to help you get an advantage over your opponents. What I didn’t realise was that there is also a commentator during play, so every now and then they camera would fly over you and the commentator would start talking to me during play. I was a bit confused by this at first and thought it was just another player talking to me, but it was a nice little touch and I quite liked it. There are some nice little twists to the gameplay that make it interesting, firstly you can effectively hunt other players if you come across resources, like a tree, that they’ve chopped down, it will mark where they are for a short while giving you a chance to close in on them and get the drop on them. The commentator can also call in supply drops with special items being dropped in the game, and they can initiate a man hunt where one player gets marked on the map meaning everyone can see them. I wasn’t really sure what to expect from the game having not followed it or seen anything about it since E3, but I was pleasantly surprised by it and will definitely be keeping an eye on it as it progresses. It seems that this weekend was the weekend for Alphas! 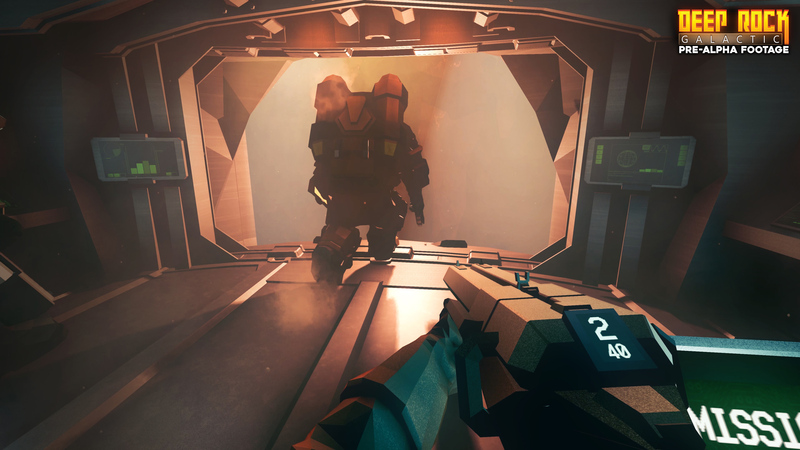 As Deep Rock Galactic also held a closed alpha, the difference here is that I’ve been following this game closely for a while. Since the game first had it’s closed alpha a few months back, a lot has changed, new levels have been created, loads of new enemies are in the game and there is a totally new social space before you start missions. Rather than have your typical lobby you now load on to a ship hovering above the planet Hoxxes, it’s still a work in progress, but I really like it. The core of the gameplay is still the same as it was. 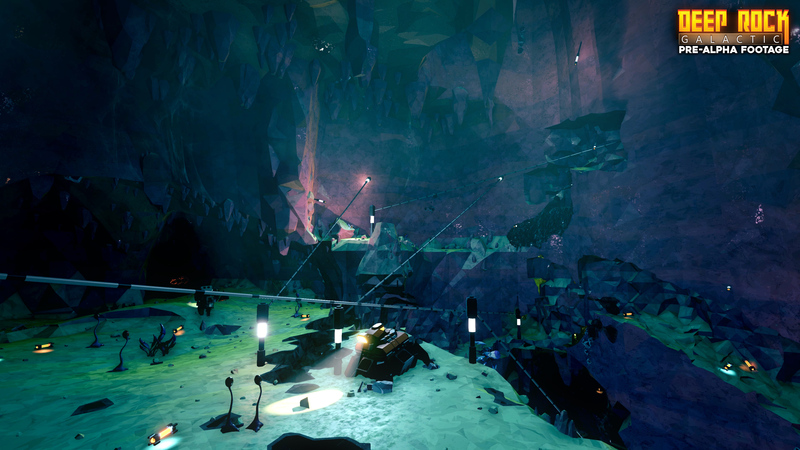 You launch a mission where you have to gather resources by mining through procedural caves and canverns. Each mission has different materials you need to mine with varying amounts needed for success. Like Left 4 Dead, every now and then a horde will be triggered and bugs of all shapes and sizes will descend upon from all angles and you will have to work together to fight them all off. There are 4 characters you can choose from and each one will provide you with different tools to utilise like deployable turrets, platform guns, zip lines, mini guns, the list goes on. There is now experience points and credits to be earned which you can then spend on upgrading your tools to be more efficient. 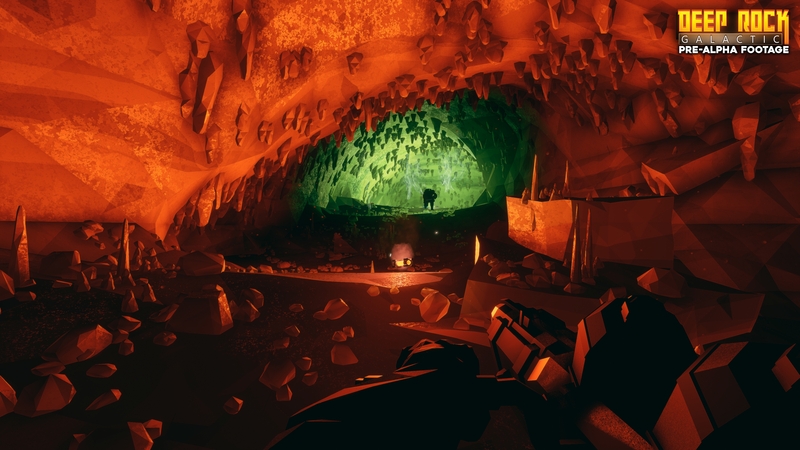 Personally I really like where Deep Rock Galactic is going, the progress on the game has been great and it has constantly been improved over the past few months. The gameplay is fun and challenging, the sense of scale in some of the caves is amazing at times, one moment you can be burrowing through a small hole barely big enough for two people, then you can be in a cave where the ceiling is so high you can’t even see it, or a drop so sheer to fall down it will certainly kill you. I continue to be impressed by the game and I can’t wait for it to fully release! Off roading, mud, wheelspins, mountains, more mud! 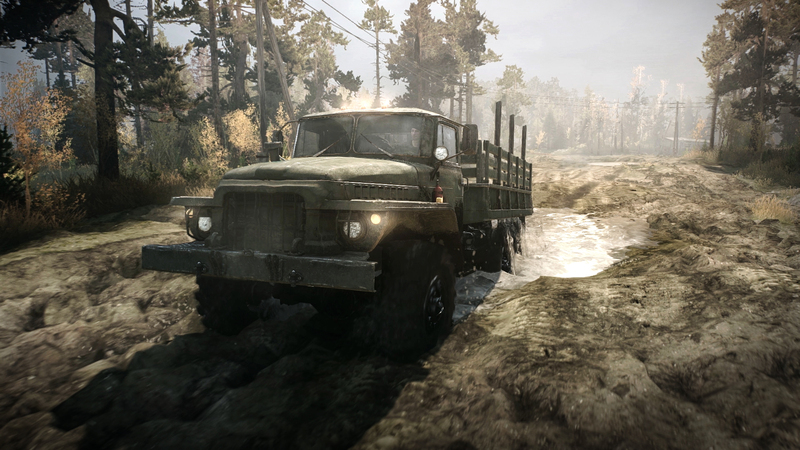 I liked the sound of Spintires: MudRunner, it sounded like it could be fun. But from what I’ve played so far, I’m just a little confused. 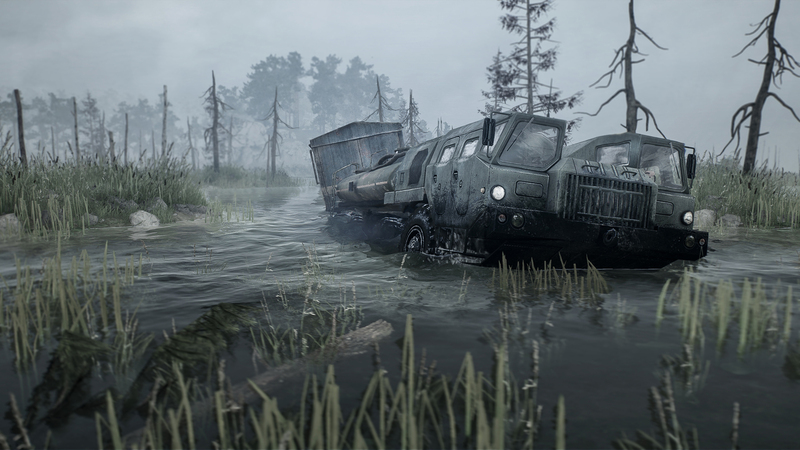 Spintires: MudRunner puts players in the driver seat of a multitude of all-terrain vehicles, venturing across extreme landscapes with only a map and compass to guide them! Take on challenges, complete deliveries in harsh conditions, unlock new vehicles, experience changing weather conditions that constantly change the realistic sandbox experience. What I’ve found so far though has been, well, a bit boring. Driving around at 10mph and then just getting stuck in some mud meaning you basically have to restart a challenge just isn’t fun. The camera angles and controls feel crazy, I just don’t understand why they’ve been designed the way they have – it’s kind of hard to describe why it’s so bad, to the point that I don’t actually think I can…. I’m all for slower paced games, that ask you to take your time and enjoy the journey. But so far chugging along in Spintires has been anything but fun. I will be going back to it though to give it another chance, hopefully the more I progress the more interesting it will become.